Those who thought they were waiting in vain for new material from UK pop icon Nick Lowe can thank America’s Los Straitjackets. The elaborately masked and somewhat mysterious Nashville based instrumental surf/rock/twang quartet has been around since 1994 and recently did a few tours backing the British singer-songwriter. They gave Lowe just the nudge he needed to return to the studio, albeit for a frustratingly short four song EP, two songs of which are covers (Lowe says he has more material ready to go). 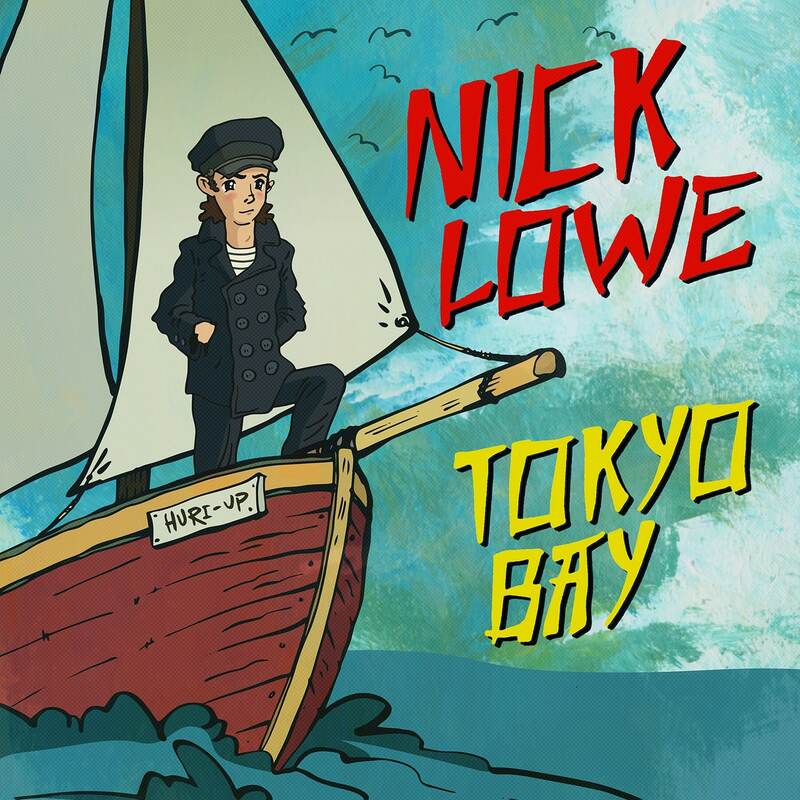 While neither of the pair of new originals — the rollicking “Tokyo Bay” and the slightly more sedate, surfy ballad “Crying Inside” — are up there with Lowe’s best stuff, they harken back to his classic years. Both show him edging away from the smarmy but cool night clubby balladeer image he was cultivating for a while, and was especially prevalent on his previous studio/non-Christmas release from 2011. Los Straitjackets shook that out of Lowe while playing with him, revisiting his hits and recharging the roots rocking tendencies that had been on the back burner. Lowe rounds out those originals with two more tunes, both unusual covers. The 1982 Barry Gibb (Bee Gees) penned “Heartbreaker” was originally a comeback hit of sorts for Dionne Warwick. Lowe plays it straight but Los Straitjackets bring a shimmering undertow that’s perfectly placed and nearly reinvents the mushy, sentimental ballad into a lovely, introspective and melancholy meditation. It’s also an example of how Lowe’s understated, resonant voice gets inside the lyrics of almost any song to make it resonate with honestly and tenderness. The brief set closes with a mid-tempo take on Cliff Richards’ “Travellin’ Light” (no connection to J.J. Cale’s classic) that returns Lowe to his rockabilly roots. It’s a cool bit of fluff given teeth by Los Straitjackets’ twang heavy backing that keeps things tight and tough. It fades out, closing 13 terrific, if too short, minutes of what can be called a comeback of sorts for the “Jesus of Cool” who has found the perfect band to revitalize a career many, including Lowe himself, might have thought to be over. Our appetite is sufficiently whetted, now where’s that album?